The thought of that underwater cabinet meeting keeps coming back. Remember it? 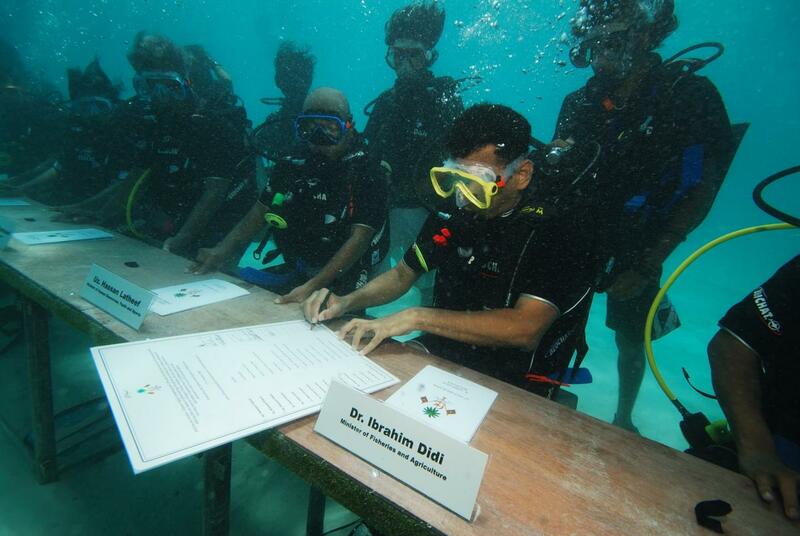 So concerned over climate change was then-president of the Maldives, Mohammed Nasheed, and evidently his entire team, that he had them don scuba suits and gear and held what has turned out to be a truly historic cabinet meeting on the floor of the fast-rising waters surrounding this small Indian Ocean island. A decade later, as yet another annual UN climate conference ends in profound disappointment, Nasheed is once again deploying drama at the Polish site of this month’s talks to call attention to what will surely be the demise of most small-island states around the world and questioning the very fruitfulness of these ongoing negotiations to implement the Paris Climate Agreement. “What’s the point?” he asks. Who can blame him. After all, we’ve known since the months leading up to Paris in 2015 that the voluntary country commitments, even if fully met, would still allow temperatures to rise to 3.5º Celsius above the historical average. And today, not only is the U.S. pulling out, but most participating countries are falling way short and greenhouse gases continue to set records, which means the latest IPCC scientific report from the UN itself can now be understood as a guarantee that we will overshoot 1.5ºC as early as next decade and flirt with 5ºC by century’s end. Nothing coming out of Poland changed that fate. Nothing. Heck, the IPCC alarm, the latest science, fell victim to political pettiness and was outright excluded from the event’s official report, even though it is now THE fate to prepare for and adapt to. The Paris Agreement, we can now thereby safely declare, is dead, the ashes buried in the coal mines of Katowice. That makes this conference, this moment, fairly momentous. And your New Year’s Resolution patently clear. In 2019, the adaptation phoenix must rise, and it is YOU. Yes, you — whether person, company, NGO, school, city or other — must rise and discover the only hope we now have, that of protecting ourselves and humanity from the coming climate calamity by taking every possible step, starting today, to adopt advanced adaptation, build collective resilience designed for the post-1.5ºC world we have in common, and usher in a new transformation. In this COMMON Magazine article, I call it Transformative Dystopia. Five groups deserve special mention coming out of Katowice. We’ll cover each briefly. First is you, anti-carbon campaigners, especially if you’re young. This photo captures it, doesn’t it, the dejection when the IPCC science was discarded so summarily and one could feel the air totally sucked from the struggle and will to fight of our young. Our message is: Don’t Stop. The world still needs to decarbonize. We’ll overshoot 1.5ºC (2.7ºF), and the road to 5ºC — yes, we know, your future — will be treacherous, but your fight ensures we won’t overshoot that. Your task now is to ADD adaptation to your campaigning. Pursue parallel paths. Imagine if 350.org, Avaaz, Climate Reality, and every anti-carbon NGO pivoted to a two-track strategy. Better: don’t imagine it. Be part of it. Make it happen. Pivot. The same goes for Chief Sustainability Officers and their CEOs at the world’s leading corporations. 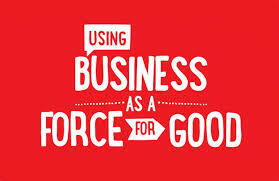 You’ve come such a long way from those early days in the 1990s when you shifted from regulatory and NGO-pressured compliance and GRI reporting to today’s magnificent platforms, collaborations and commitments, both internally to decarbonize your operations as well as across your deep and global social reach. According to this study of 1,600 of you, you’re still not focused on adaptation, though. 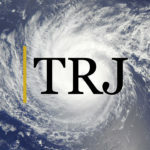 Not even close, despite the now certain and huge losses you stand to suffer, perhaps existentially, as soon as next decade from the dramatic worsening of climate impacts across your entire value chains, and on the flip side, the gains that await should you pioneer the investments and innovations in this new Adaptation Economy. So the time has come for a wave of Paul Polmans and Unilevers to emerge. Polman raves about how sustainability boosts the company’s results. He and all of you can now protect and enhance those results by becoming the new class of adaptation LEADERS. If any group is responding to and embracing the resilience challenge, it is you in the world’s cities. A hundred of you joined the Rockefeller Resilient Cities program, dozens are part of C40, and thousands of you are active in ICLEI Resilient Cities, the Global Covenant of Mayors, the UN Resilient City campaign, and a host of other initiatives. The post-Katowice message to you cannot be clearer: step it up a bunch of notches. The IPCC report and others assure you have 10-15 years to get ready, and you know how long the proposal-to-funding-and-construction cycle takes. And that’s for the built environment. Your human and equity challenges, to protect the most vulnerable, usually take longer. Given that brutal urgency, here’s a new post-Katowice calling: communications, because not only do you need urgent and total public support for your big investments, but it is an irrefutable public interest and moral imperative for everyone across your city to become resilient on their own — every homeowner, school, hospital, small business, neighborhood, NGO…everyone. Your job now is to Let Everyone Know by raising awareness so they can take action. On that front, our firm and global networkcan help. But whether you do it with us or another group, JUST DO IT. If there is one group that cuts across the others, it is you in the adaptation field — city officials, NGOs, academia, the private sector, even campaigners at UN conferences! You are the ones who do most of the heavy lifting on the ground, whether you’re fortifying infrastructure, installing flood barriers and solar panels, handling disaster response, easing the trauma in affected neighborhoods, or advising coastal communities on managed retreat. Everyone’s future is now in your hands. It is heartening to see the rapid proliferation of related organizations around the world. In our case, we’re engaged with the American Society of Adaptation Professionals. See our interview of Executive Director Beth Gibbons here. But go through this search to get a sense of how robust the adaptation and resilience ecosystem has become. It is one of the world’s fantastic growth sectors. The post-Katowice message to you: This is your moment. Seize it. Assert your role and your expertise. Be fearless. Relentless. Confident. To the extent resilience is the world’s great new hope, it is on you. And the more I work with you, the more certain I am that we are in awesome hands. In this Forbes story last week, contributor Willy Foote calls adaptation “the greatest entrepreneurial challenge of our time” and highlights the special role of sociopreneurship. One month before the Paris Climate Agreement was signed, pointing to the science that already knew the accord would fall short, I made the exact same point in this story. 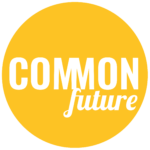 For us at The Resilience Journal, COMMON Future and the broader COMMON family of which we are proudly a part, as we close out 2018 with the COP24 disappointment and head into 2019 anticipating the thrilling rise of adaptation, that serves as our guiding passion and motivation, our New Year’s Resolution, if you will: To enable and accelerate not just the work of social enterprises, but of all of you above, offering content and communications to rapidly scale your resilience work across the board. May you be the phoenix that rises from the ashes of Katowice to bring new hope to a climate-ravaged world — without the need for underwater scuba meetings.